Last Thursday I sat back and read Victor Davis Hanson's piece at National Review, "Two Californias," in fact, I read it several times as I do often with his work. Later that day I wrote a blog post here, inspired by Hanson's words. Later in the day"Two Californias" proved to haunt my thoughts and I decided to roll the blog post based on Hanson's work into an a long form essay at Pajamas Media. I probably wouldn't have done so either were it not for several of the comments made in regards to that post. The final PJM piece turned out pretty well and it's interesting (if you write or blog) how much different the final product ended up being, juxtaposed to the informal "rant-ish" blog post that I put together hastily, with an altogether different writing voice. Writing is funny for me. On a certain day, an idea or theme pops into my psyche and the words pour onto the page (or screen in today's world). Other days, putting pen to thought or thoughts to pen is an exercise in frustration. Judging by the fact that the PJM piece already has 40 comments this rainy California Sunday morning, highbrow readers at Pajamas, in their pajamas, must have liked it too. Like Mr. Daniel, I too look back on my youth in California as the best thing that could have happened to a kid. Although I didn’t arrive there until 1946, when I was nine, I compare my childhood just outside San Diego to a ‘Happy Days’ experience. Good schools, excellent education, all-race student body (with no discrimination that I ever saw), drive-in movies, surfing, beach parties, part-time jobs, customized cars, compulsory phy. ed. classes every day, discipline in the classroom (and the halls), etc. etc. Of my three years in high school, I can only remember one young lady having to go away to live with her grandparents because she ‘got in trouble’. That just didn’t happen in those days without a great stigma being attached; and living together without being married … surely you jest! After joining the Navy and moving away, I kept track of CA through friends and family and occasional visits back to the old homestead, as it were. What I saw and heard (politics, property values, crime, social values and sexual mores, etc.) turned me off of ever returning there to live, especially when my children were in school. The young don’t even know what they missed. You can talk and write about it, but they can’t just go take a BB gun and hop on their bikes and ride out to the field wander around in the woods. There are rules against everything. You are in a prison without walls and vote for more. California truly is the canary in the coal mine and if the proglodytes get their way America will become just like California. I still find it difficult to believe that the state with the 8th largest economy in the world is competing with the likes of Mississippi, Louisiana, Arkansas and West Virginia for last place in pubic education. California, you deserve EVERYTHING you are currently experiencing politically, socially and economically. And your future looks even dimmer than one of those new mercury filled light bulbs the government is making you purchase. Tim, I share your sentiment. Being 35, I too grew up in California for more than 1/2 that time, a majority in Concord, CA (East Bay area). In the 80′s my friends and I would ride our bicycles EVERYWHERE. We’d take the BART train into the city for 49ers/Giants/Athletics (my first professional sports game I attended was the Oakland Raiders, before their moving to L.A.). Heck, I remember Concord being nominated ‘the best city nationwide to live in’ sometime in the late 80′s. And for all intents and purposes, it was. I’d gotten stationed a few years later in nearby Fairfield/Vacaville area and was excited to see the city from my youth. Wow.. The city, and nearby cities as well are adorned with graffitti, decrepit businesses I frequented as a kid, many having shuttered doors. I’d read the police blotters online and was disappointed to see the reasoning behind its demise. Growing up there, ‘diversity’ was abundant BEFORE the term diversity was forced down everyone’s throats. My best friends being Black, White, Asian-Indian, Chinese, Japanese, Philipino etc., and we didn’t think ANYTHING of it. Whereas ALL of us came from good, 2 parent households, we did our homework before going out ‘to play’, had sleepovers at one another’s homes. Your typical friendship actions. A glaringly obvious reason to its slide was the illegal aliens, and their 14th Amendment abusing children taking the city, heck the state down many notches to say the least. Call me what you will, it’s reality. California once boasted of having a very respectable public education system in the 80′s. Today, it ranks 48th nationally in test scores (Arizona and Nevada being 47th and 49th.. coincidence?). You can imagine the aftermath attached to these under-performing miscreants and their low I.Q.’d illegal parent(s). 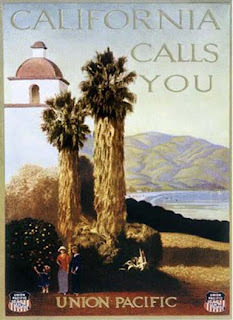 The Santa Barbara Valley used to have LEGAL citizens in the fields, vineyards until ~mid 90′s (lived in Goleta ’06-’08 for school and have many LEGAL American friends of Mexican ancestry there), with company provided medical insurance, accrued vacation time, competitive wages. These same owners though 86′d these same loyal workers for the lower paying, ask no questions illegals. It’s truly astounding, and sad to see this once impressive state knowingly, ACCEPTINGLY, slide into collectivism, zombie-like stasis. With Babs, Feinstein, Pelosi and Moonbeam back at the helm.. oy vey! I can only imagine.. I started to read Hanson’s article but didn’t finish it. I liked yours better, I read the whole thing – nice job. While some cities in California may be the most extreme example on the West coast, I think that over the almost 70 years I have been alive I have witnessed a gradual and accelerating decline and coarsening of life in general here in the U.S., and also in the cities that I have observed and lived in. City and suburban neighborhoods where I lived that were thriving and well-kept lower and middle middle class neighborhoods in the 1940s, 1950s and 1960s have since degenerated into crime ridden ghettos full of neglected, boarded up, or burnt out row homes, roamed by “wolf packs” of teenagers up to no good. The once crowded, busy, thriving commercial center of my youth is now a trash strewn ghost of its former self, all major stores fled, lots of boarded up, vacant storefronts, and the remaining stores selling cheap electronics, flashy junk jewelry, wigs and big momma clothes, with the odd drug treatment center with its barbed wire-topped, chain link fencing thrown in. Moreover, a train trip from this suburb into center city takes you through what appears to be a dilapidated urban war zone and the empty, broken-windowed, razor wire surrounded hulks of countless once functioning businesses, factories, and warehouses. However, it is in Center City Philadelphia that the deterioration is most easily seen in one concentrated area. All the major center city department stores gone and their huge buildings largely empty, few of what used to be a wealth of specialty shops selling high quality, expensive goods still in business, all the former crowds of well dressed, up scale shoppers apparently fled to the suburbs, and now crowds of a different sort, of mostly grungy and gray-faced, un-prosperous looking shoppers milling about in front of more stores selling cheap goods, beggars on many street corners, and street people pushing their stolen shopping carts along muttering to themselves–all within easy sight of City Hall, and police—police everywhere; it is an infuriating and saddening spectacle to witness just how far down this once prosperous and vital city has sunken. Updated: 72 comments and counting and the piece is number four on the list of most popular PJM articles today too. Please comment, Facebook "like" and add your thoughts! Your article left me choked up, as did Victor Hanson's earlier assessment of the once golden state. My father made his exodus from Pennsylvania, to California back in 1948, after serving his country as a marine scout-sniper during bloody WW2 battles of the Guadalcanal, Peleliu, Cape Gloucester, et al. His first contact with the once promised land was in San Diego, upon his return from "hell in the pacific." I remember him describing the water pressure from the base showers, in a way only an escapee from a totalitarian society would describe something as simple as a florist shop, or grocery store; something we take for granted:. "M'boy, the pressurized water which covered my body could only be from a free society." I'll never forget those words. Today, as my father approaches his 88th year. He is saddened to see the state of affairs of the land he once loved. A life-long Democrat, he recently registered as a Republican; a move I'm sure tore at the very fibers of his existence, as he now sees a different Democrat party; a party that has destroyed his dream. A party he once believed enabled him to open up path to a better life. As he now says, "these bastards today are not Democrats... not the Democrats I once knew." Yes Tim, the "progressives" are about nothing more than destroying dreams; dreams that great men like my father went through hell and back so his children could achieve their goals and dreams; dreams that could manifest themselves in ways few places could. My beloved golden state was a once a place of abundant ideas and prosperity; a place which empowered the great dreamers, thinkers and doers of the world. Sadly the golden state is no longer gold. It has instead, turned into a fast decaying grayness, approaching that of a land far removed from anything we from a former paradise once knew. Today, what I have is the memory of my dad's award winning smile, and dreamy eyes, as he once described to the land he fell in love with, over sixty years ago. That is quite moving, it makes me ponder just how many people have experienced the same and look back to the Once Golden State's past greatness like this? Updated x3: My San Diego buddy W.C. Varones was moved by my piece and recalls a very similar California family background. He links Richard Rider and a piece that Richard Rider just put up on California's business climate and decline. Good article. Reminds me a great deal of the Florida I grew up with only the commie lib's aren't so bad there ... yet. Well, maybe the Pineapple Express y'all are experiencing today will wash California's mouth out with soap and you can start over. Fantastic article Tim. Well written, thought provoking and most of all paints a picture of what CA was like then and now. Truly an inspired piece of journalism. Thanks so much Sparky and Chris! I moved to California in 1963. With the exception of three years, I've been here ever since. And yes, the place is nothing like it used to be back then, except for the climate.